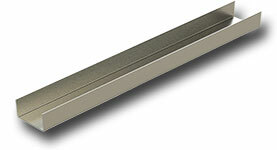 304 stainless steel custom C-Channel #4 finish is the brushed finish commonly seen on kitchen appliances and backsplashes. 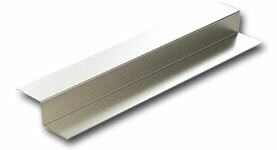 The 304 stainless steel custom C-Channel #4 finish has a PVC film on one side to help protect against scratching during fabrication and installation. 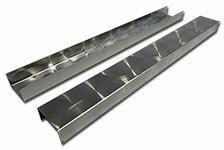 Our 304 stainless steel custom C-Channel #4 finish meets the criteria for both the #3 and #4 finish. 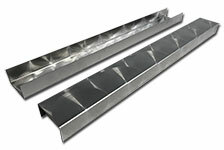 304 stainless steel custom C-Channel 2B finish is a mill finish, which is smooth and NOT the brushed finish commonly seen on kitchen appliances. 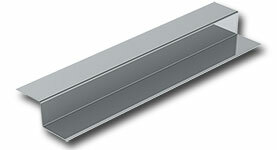 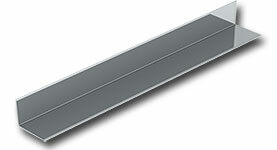 304 stainless steel custom C-Channel 2B finish is light gray in color. 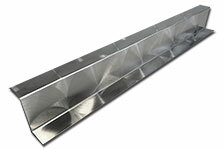 304 stainless steel custom C-Channel 2B finish may or may not have a protective film on one side to prevent scratching. 316L stainless steel custom C-Channel 2B finish has a mill finish, which is smooth and NOT the brushed finish commonly seen on kitchen appliances. 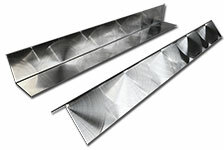 Our 316L stainless steel custom C-Channel 2B finish will not have a protective film to prevent scratching, so the 316L stainless custom C-Channel will commonly have scratching. The 304 bright annealed custom C-Channel (BA) finish is cold rolled stainless steel that is annealed in a controlled atmosphere to retain a highly reflective finish. Although it is not completely identical to the #8 mirror finish, it appears to be very similar. 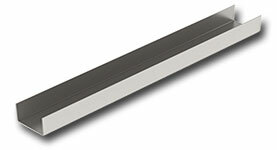 The 304 stainless steel custom C-Channel bright annealed finish has a PVC film on one side to help protect against scratching during fabrication and installation. 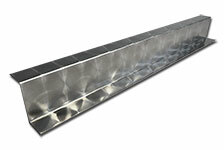 316L stainless steel custom C-Channel #4 finish is the brushed finish commonly seen on kitchen appliances and backsplashes. The 316L stainless steel custom C-Channel #4 finish has a PVC film on one side to help protect against scratching during fabrication and installation. 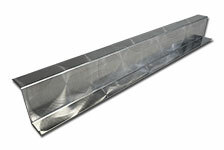 Our 316L stainless steel custom C-Channel #4 finish meets the criteria for both the #3 and #4 finish. 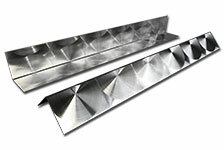 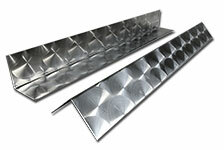 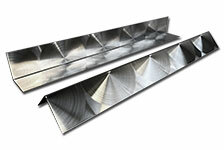 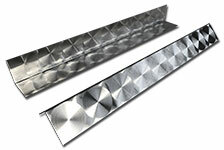 316L stainless steel custom C-Channel #8 mirror has a non-directional finish that virtually looks like a mirror. 316L stainless steel custom C-Channel #8 mirror possesses a highly polished finish and does not contain or have a coating or finishing material to give it reflectivity. 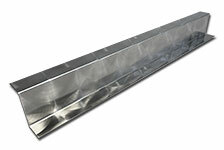 316L stainless steel custom C-Channel #8 mirror comes with a double layer of PVC film to protect the mirror finish during fabrication and installation. 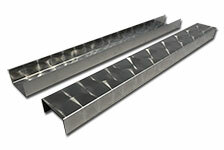 304 stainless steel custom C-Channel Random Swirl finish is a hand applied finish that is completely random. Although C-Channels may look similar to each other, no two patterns will be the same. 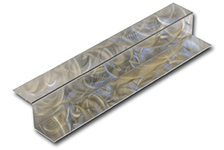 304 stainless steel Random Swirl C-Channels have a PVC film on one side to help protect against scratching during fabrication and installation. 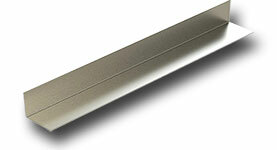 316L stainless steel custom C-Channel Random Swirl finish is a hand applied finish that is completely random. Although C-Channels may look similar to each other, no two patterns will be the same. 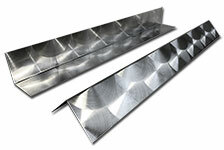 316L stainless steel Random Swirl C-Channels have a PVC film on one side to help protect against scratching during fabrication and installation.